What does it take for individuals to disappear from recorded history? Most people manage it. How is it done? The first answer is to die young. That deed has been achieved by far too many historic humans, especially in eras of highly infectious diseases. Any death before the age of (say) 21 erases immense quantities of potential ability. After all, how many child prodigies or Wunderkinder have there been? Very few whose fame has outlasted the immediate fuss in their own day. A number of chess-masters and mathematicians have shown dramatic early abilities. But the prodigy of all prodigies is Wolfgang Amadeus Mozart, who began composing at the age of five and continued prolifically for the remaining thirty years of his life. His music is now more famous and more widely performed than it ever was in his own day. Mozart is, however, very much the exception – and his specialist field, music, is also distinctive in its ability to appeal across time and cultures. A second way of avoiding the attentions of history is to live and die before the invention of writing. Multiple generations of humans did that, so that all details of their lifestyles, as inferred by archaeologists and palao-anthropologists, pertain to the generality rather than to individuals. Oblivion is particularly guaranteed when corpses have been cremated or have been buried in conditions that lead to total decay. now in the South Tyrol Museum of Archaeology, Bolzano, Italy. The third way of avoiding historical attention is to live a quiet and secluded life, whether willingly or unwillingly. Most people in every generation constitute the rank-and-file of history. Their deeds might well be important, especially collectively. Yet they remain unknown individually. That oblivion applies especially to those who remain illiterate, even if they live in an era when reading and writing are known. ‘Full many a flower is born to blush unseen/ And waste its sweetness on the desert air’, as Thomas Gray put it eloquently in 1751 (in context, talking about humans, not horticulture).3 One might take his elegiac observation to constitute an oblique call for universal education (though he didn’t). Yet even in eras of widening or general literacy, it remains difficult for every viewpoint to be recorded and to survive. In nineteenth-century Britain, when more people than ever were writing personal letters, diaries and autobiographies, those who did so remained a minority. And most of their intimate communications, especially if unpublished, have been lost or destroyed. Of course, past people were also known by many other forms of surviving evidence. The current vogue in historical studies (in which I participate) is to encourage the analysis of all possible data about as many as possible individuals, whether ‘high’ or ‘lowly’, by making the information available and searchable on-line.4 Nonetheless, historians, however determined and assiduous, cannot recover everybody. Nor can they make all recovered information meaningful. Sometimes past data is too fragmented or cryptic to have great resonance. It can also be difficult to link imperfect items of information together, with attendant risks: on the one hand, of making false linkages and, on the other hand, of missing real ones. Moreover, there are still many people, even in well documented eras, whose lives left very little evidence. They were the unknowns who, in George Eliot’s much-quoted passage at the end of Middlemarch (1871/2): ‘lived faithfully a hidden life, and rest in unvisited tombs’.5 She did not intend to slight such blushing violets. On the contrary, Eliot hailed their quiet importance. ‘The growing good of the world is partly dependent on unhistoric acts’, she concluded. A realist might add that the same is true of the ‘bad of the world’ too. But again many lives remain hidden from historic record, even if the long-term impact of their collective actions and inactions has not. Finally, there is concealment. Plenty of people then and now have reasons for hiding evidence – for example, pertaining to illegitimacy, adultery, addiction, crime, criminal conviction, or being on the losing side in warfare. And many people will have succeeded, despite the best efforts of subsequent scholar-sleuths. Today, however, those seeking to erase their public footprint face an uphill task. The replicating powers of the electronic media mean that evidence removed from one set of files returns, unbidden, in other versions or lurks in distant master files. ‘Delete’ does not mean absolute deletion. 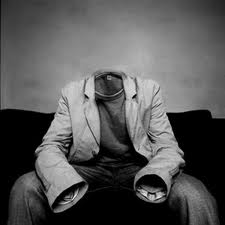 Today: yes, people can still be forgotten; or even fall through the administrative cracks and become a non-person. But to disappear from the record entirely is far from easy. Future historians of on-line societies are going to face the problems not of evidential dearth but of massive electronic glut. Still, don’t stop writing BLOGs, tweets, texts, emails, letters, books, graffiti. If we can’t disappear from the record, then everyone – whether famous, infamous, or unknown – can take action and ‘bear witness’. 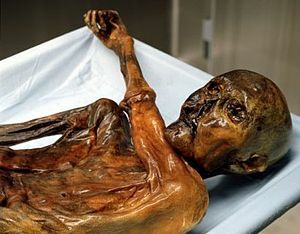 1 For Ötzi, see: http://en.wikipedia.org/wiki/%C3%96tzi. 2 See P.V. Glob, The Bog People: Iron-Age Man Preserved, transl. R. Bruce-Mitford (London, 1969); D.R. Brothwell, The Bog Man and the Archaeology of People (London, 1986). 3 T. Gray, ‘Elegy Written in a Country Churchyard’ (1751), lines 55-6. 4 See e.g. Proceedings of the Old Bailey Online, 1674-1913: www.oldbaileyonline.org; London Lives, 1690-1800: www.londonlives.org; Clergy of the Church of England Database, 1540-1835: www.theclergydatabase.org; London Electoral History, 1700-1850: www.londonelectoralhistory.com. 5 G. Eliot [Mary Ann Evans], Middlemarch: A Study of Provincial Life (1871/2), ed. W.J. Harvey (Harmondsworth, 1969), p. 896. 6 T. Hardy, The Mayor of Casterbridge: The Life and Death of a Man of Character (1886), ed. K. Wilson (London, 2003), p. 321.